On April 6, 2012, the fishing community lost a great angler, icon, and friend, Jose Wejebe, host of the television show, Spanish Fly. Through his show and his adventures, Jose shared his passion for fishing and a lifestyle that touched and inspired anglers around the world. At the same time, Jose encouraged conservation, leading his viewers by example to take better care of the environment they so enjoy. Jose Wejebe never forgot his humble beginnings or those others that helped him find success. Throughout his life and career, Jose unselfishly donated his time, money and equipment to support countless charities. The charitable work seen on his television series, “Spanish Fly”, documented only a small portion of his generosity. Behind the scenes, he quietly assisted with many more charities throughout the world. He did so out of compassion and kindness, and was humbled by those who expressed their appreciation. The Jose Wejebe Spanish Fly Memorial Foundation is a nonprofit organization with a simple mission — to support causes involving marine conservation, education, and individuals with special needs. 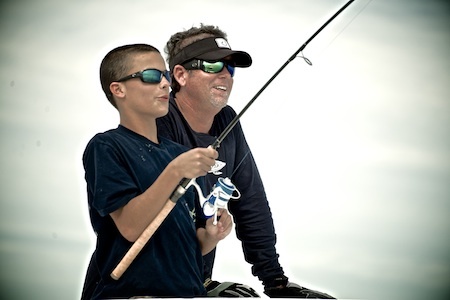 The Foundation is committed to continuing Jose’s legacy of encouraging new and unique ways of interactive fishing, sharing the importance of conserving our marine environment and dedication to those individuals who encounter life with extraordinary challenges. 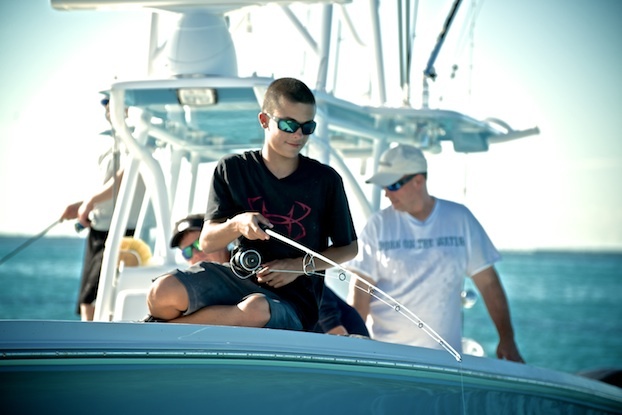 As one of its first projects, the Foundation made Tyler Murdoch’s wish of going fishing in the Florida Keys a reality. Tyler is 14 years old and suffers from Gardner’s Syndrome. He traveled from his home in New Jersey to the Keys with his mom Danielle, brother Matt and father Gary. Thanks to the Foundation, Hawk’s Cay Resort, Plantation Boat Mart, Under Armour, Shimano, Yeti Coolers, Mellow Ventures Key West, Digital Island Media, Louie Wray Photography and Costa Sunglasses, Tyler had the trip of a lifetime. The group fished with Capt. Greg Poland, who was honored to fish with Tyler and his family. You would be so proud of all the people that joined forces on your behalf so that someone like me could experience the trip of a lifetime. When I arrived at this amazing resort, I didn’t just have my own bed — I had my own house! And that grand house was stuffed full of goodies like Santa had made a Christmas stop! Shirts, hats, shorts, pants, sweats and yes, even Costa shades — for the entire family! We met your daughter Krissy that night and had a chance to get to know each other over a nice meal. Even though you have only been gone seven months, I think it is incredibly brave to take on such a HUGE task — giving someone like me a trip of a lifetime. Together, Mike and Krissy, met me at Key West. That day was like a party on the water with paddleboards, snorkeling and great company! When I went to bed that night, I could barely sleep thinking about what was going to happen in the next three days! Fishing all day with my own captain, on a 37-foot boat that was pimped out with three 300-hp Yamaha four strokes! PIMP THAT! Everybody’s only job was to have fun and put me on fish. Capt. Greg Poland even arranged to have football coach Jimmy Johnson meet me at Plantation Marina and sign a football for me. I felt like a rock star. They didn’t stop there because on another day, while fishing, we stopped by Wyland’s studio where I had a chance to meet him and he even gave me his book signed “To Tyler” — a rare occurrence I hear. 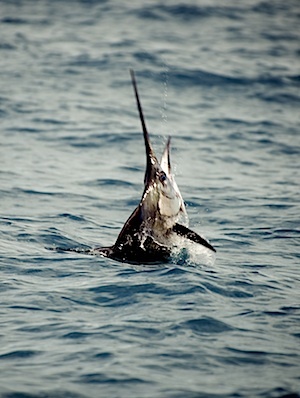 I will never forget all the fish I watched take my bait in the clear blue water, or what it feels like to be talked through a 45-minute battle with a sailfish, never forgetting to release the catch as you did thousands of times on Spanish Fly. I missed you, Jose, but having this experience with all your loved ones made it so special. Because of their love for you I had my wish granted, I know how proud you must be! To get involved with the Jose Wejebe Spanish Fly Memorial Foundation, visit their Facebook page. They will also be hosting a fundraiser at the Square Grouper in Cudjoe Key, Florida, on Sunday, November 18th. You can also make a donation by going to www.josewejebefoundation.org.